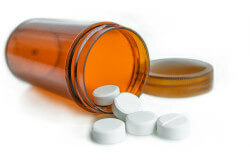 What Medications Are Used to Assist in Addiction Treatment? Even as a drug or alcohol addiction threatens to rewrite a person’s life, treatment options exist that can begin to address the damage done and help the person to achieve health and balance. While counseling and aftercare support address various mental and emotional hurdles, medications for addiction treatment can assist with breaking the chains of physical dependence, helping to ease an often-difficult withdrawal period, and managing any other medical or mental health issues that may have been left untreated (and in some cases, undiagnosed) along the way. Certain treatment medications may have some risks of their own, but they can be very useful in stabilizing those in early recovery and helping them to manage the pain of withdrawal during detox. The addictive nature of many substances derives from the way they manipulate the brain’s pleasure and reward centers. Though their precise mechanisms of action vary, many pharmacotherapeutics instrumental in the treatment of addiction help to restore balance to the very neurochemical processes that are disrupted by drug and alcohol use. To help treat certain types of addiction, a person may be prescribed medications that diminish cravings and withdrawal, counter the intoxicating effects of a drug, or have “off-label” uses that support the individual in recovery. The National Institute on Drug Abuse explains that naltrexone works by blocking the receptors in the brain that opioids would otherwise bind to and activate, rendering those drugs incapable of eliciting their addictive high. Naltrexone is safest when used after the person has completed medically supervised detox, because using it when opioids are still in the body may prompt exceptionally severe withdrawal symptoms. Naltrexone is considered to be an ideal medication for treating opioid abuse, because of the ease of administration, minimal side effects, and absence of abuse/addiction liability. 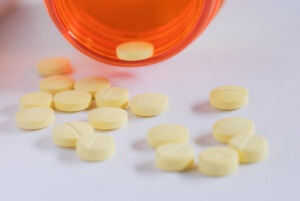 While naltrexone works by altogether blocking the activation of opioid receptors in the brain, a drug like buprenorphine functions by only partially activating them; that is why naltrexone is referred to as an opioid antagonist, and buprenorphine is called a partial opioid agonist—meaning that it activates the brain’s opioid receptors but not to the extent that a “full opioid agonist” like heroin does. Since buprenorphine is only a partial agonist drug, there is a “ceiling” to its opioid effects, and it is incapable of eliciting as powerful of a high as many full opioid agonist drugs of abuse. According to the Substance Abuse and Mental Health Services Administration, this lowers its potential for misuse, as well as the severity of the withdrawal effects associated with the treatment drug itself. Used this way, buprenorphine can be used to help wean individuals off their dependence to full opioid agonists. Naltrexone has also found applicability as a tool to treat alcoholism. An injectable, extended-release form of naltrexone known as Vivitrol has been called “the most important breakthrough in addiction treatment in the past 25 years.” A medical director tells the New York Daily News that while naltrexone requires a pill to be taken once every day or two days, Vivitrol is administered via injection once a month. According to the director, patients find this method of administration helps them remain sober. On the other end of the spectrum of opioid agonist drugs like methadone and buprenorphine are the opioid antagonists, including the drug naloxone. In addition to being able to inhibit the activation of opioid receptors, naloxone acts as a competitive antagonist and is able to actively reverse the narcotic effects of many full opioid agonist drugs. It is this ability that makes naloxone such an important medication in treating opioid overdoses and saving lives. Naloxone’s utility extends beyond its role as an “antidote” to opioid overdose. It is often found in a combination formulation with buprenorphine (e.g., as the opioid dependence treatment medication Suboxone—a drug which the Washington Post describes as “the drug [that] could combat the heroin epidemic.”) Its inclusion in such a treatment is done to deter abuse of the treatment drug itself. People attempting to misuse Suboxone via various routes may not only experience a blocking of the desired opioid effects, but may additionally experience immediate opioid withdrawal. Other drugs that are used to help people struggling with alcoholism include disulfiram and acamprosate. When taken as prescribed, disulfiram (trade name: Antabuse) will result in a very unpleasant reaction should the individual consume even small amounts of alcohol. It achieves this effect by blocking the activity of a certain enzyme important in metabolizing alcohol. The resultant buildup of a chemical intermediary (acetaldehyde) is what’s behind the adverse physical effects. Reactions can include headache, nausea, vomiting, chest pain, sweating, blurred vision, and breathing difficulty, among others. Experiencing such uncomfortable symptoms and/or knowing that they will occur is thought to deter individuals from continued drinking behavior. Acamprosate (trade name: Campral) is specifically designed to maintain the chemical balances in the brain that are disrupted in a person with significant alcohol dependence. It is another drug of choice to assist in the treatment of alcoholism. Acamprosate may work by protecting the brain from overexcitation that results when a person attempts to withdraw from alcohol in the wake of its significant disruption of excitatory and inhibitory signaling. In doing so, relapse likelihood may be decreased, and abstinence promoted. A study published in the journal Alcohol and Alcoholism that looked at 296 alcohol-dependent patients who were randomized into groups that received acamprosate and a placebo found that abstinence was maintained 19 days longer in the acamprosate group than the placebo group. Continuous abstinence was achieved by 35 percent of the patients who received acamprosate, while only 26 percent of the placebo patients achieved abstinence. Sometimes, the weapons in the fight against addiction come from unexpected places. In 1998, the U.S. Food and Drug Administration approved modafinil (under the brand name Provigil) as a treatment for narcolepsy. Modafinil is a non-amphetamine central nervous system stimulant and eugeroic—a drug that promotes alertness/wakefulness. It is prescribed for those who struggle to function in their day-to-day lives because they have irregular or diminished sleep patterns due to long work shifts, sleep apnea, or some other cause. Modafinil’s properties have also drawn attention for possible use as a treatment for cocaine dependence—a condition for which there is currently no FDA-approved pharmacotherapy. It has been theorized that the stimulant effects of modafinil could be useful in alleviating some of the symptoms of acute cocaine withdrawal. Furthermore, there is some evidence that modafinil may decrease cocaine cravings, mute some of the subjective response to this addictive drug and, in combination with individual behavioral therapy, prolong abstinence. More research into any direct effects is needed. Bupropion was “helpful” in reducing cravings for cocaine use in one study. Sustained release bupropion (e.g., Wellbutrin SR) combined with participation in a 12-step program may reduce methamphetamine cravings. As with bupropion, mirtazapine (trade name: Remeron) is primarily used to help patients with depression. There is some evidence, albeit limited, that mirtazapine, in conjunction with therapy, may benefit people during alcohol detoxification. One study mentions that this therapeutic value is achieved through a decrease in collateral anxiety, depressive symptoms, and minimization of physical and subjective discomfort in the post-withdrawal period. Baclofen, which is a skeletal muscle relaxant used primarily to treat muscle spasticity, has been investigated for its potential role in maintenance treatment for opioid dependence. There is some research evidence that the anticonvulsant medication gabapentin may help manage certain withdrawal symptoms in someone undergoing methadone-assisted detox. Like gabapentin, the anticonvulsant vigabatrin may reduce some alcohol withdrawal symptoms. Low-dose topiramate could warrant attention for a potential role in preventing alcohol relapse as it may help reduce alcohol cravings, anxiety, and depression when used in the treatment of alcohol dependence. Though in these examples official approval as addiction treatment medications has not been given, they serve as indicators of how researchers continue to look for new pharmaceutical options to add to the toolbox of addiction treatment. With continued investigation, the hope is that we will soon be able to augment our established therapeutic methods and practices to make additional headway in the treatment of substance abuse.